And the award goes to… Ori! Let’s give a round of applause to our technology team! 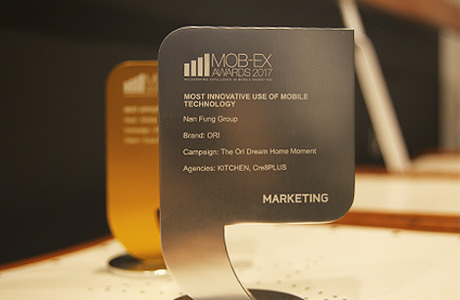 KITCHEN are proud to announce that our Ori Mobile App and our Instant Photo Machine “The Ori Dream Home Moment!” for The Nan Fung Group, has each won a MOB-EX Award this year! To find out more about the project, check out here.